Additional Description: VM11703E Adjustable Vacuum Switch. Adjustable vacuum 2.5-7 inches of water. Single Pole Double Throw, 5 Amps. EPDM Diaphragm. In Stock. Direct from USA Manufacturer. Vacuum switches are designed and manufactured to exacting standards to meet the needs of original equipment manufacturers and instrument makers for low cost, stable switches and good repeat accuracy. Field adjustable using the phillips head screw on the microswitch carrier. 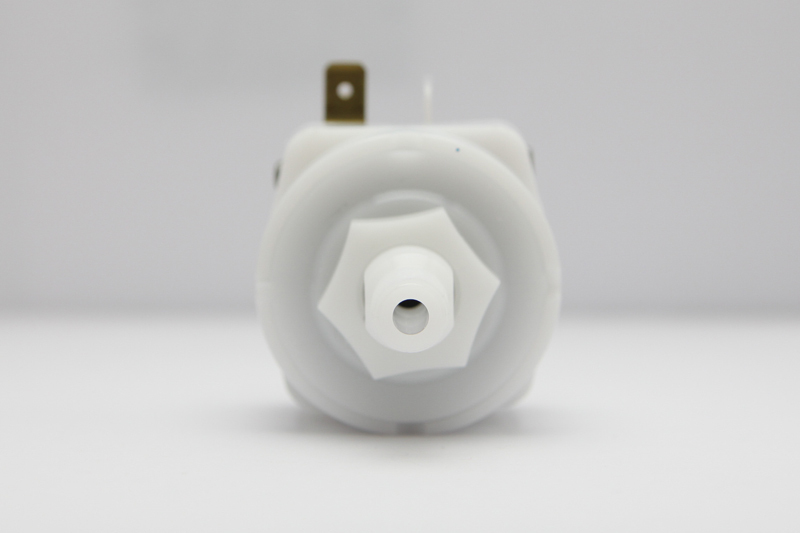 Vacuum switch microswitches are in the closed state before actuation point is reached. All switches are 100% tested at high and low settings and at proof pressure.